The information presented on this page was originally released on September 17, 2015. It may not be outdated, but please search our site for more current information. If you plan to quote or reference this information in a publication, please check with the Extension specialist or author before proceeding. As many consumers become more concerned about how their food is produced, outdoor production is becoming popular once again. According to the U.S. Department of Agriculture Economic Research Service, the number of pigs raised in organic livestock operations rose from 1,724 in 2000 to 12,373 in 2011. Mississippi producers have entered this market to satisfy growing demand. One local producer new to the market is Scott Ross, who attributed the demand for pasture pork to an increasing number of consumers with a vested interest in how their food is produced. Ross said he uses 50 acres of his 250-acre farm to raise pasture pigs. Approximately 20 pigs, including Idaho Pasture, Mangalitsa, and Kunekune breeds, now graze on the property. Ross bought his first pig in May 2014 and said he hopes to have well over 200 by the end of 2015. He plans to raise pigs for breeding stock, as well as specialty markets that include a chain of regional restaurants, local consumers, and high-end grocers and chefs. “My father raised pigs when I was a little boy, and I’ve always loved them,” Ross said. “My family had this land available with plenty of pasture, so pigs were a natural fit. Palo Alto Farm is animal-welfare rated, which is required in certain markets, said Vaughn Blaylock, Palo Alto’s farm manager. “One of the markets we are going after pays better if we are animal-welfare approved,” Blaylock said. Global Animal Partnership, an international nonprofit organization, awards the designation, which recognizes the welfare practices of producers who are certified by authorized, independent third parties. The program’s aim is to promote continuous improvement, enable retailers to label products as animal-welfare rated and provide insight for consumers into how the animals are raised. Blaylock said the farm opts for a more natural approach to meet market needs. For example, the farm keeps birds, including chickens and guineas, to help destroy parasites. Both men said starting this new venture has been challenging. They take the challenges in stride and strive to find solutions. One challenge involved constructing fencing for the hog pens. They successfully switched to hog panel and are planning to build posts out of cedar found on the property. 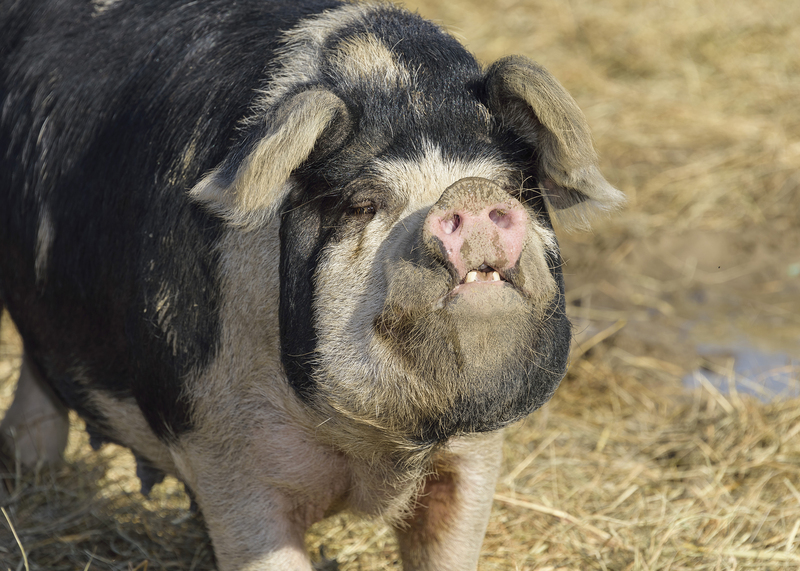 Palo Alto has ambitions to become a leader in pasture-pork production in the Southeast. Ross said he wants to find an organic-certified slaughterhouse because he is considering certifying a portion of his operation as organic. 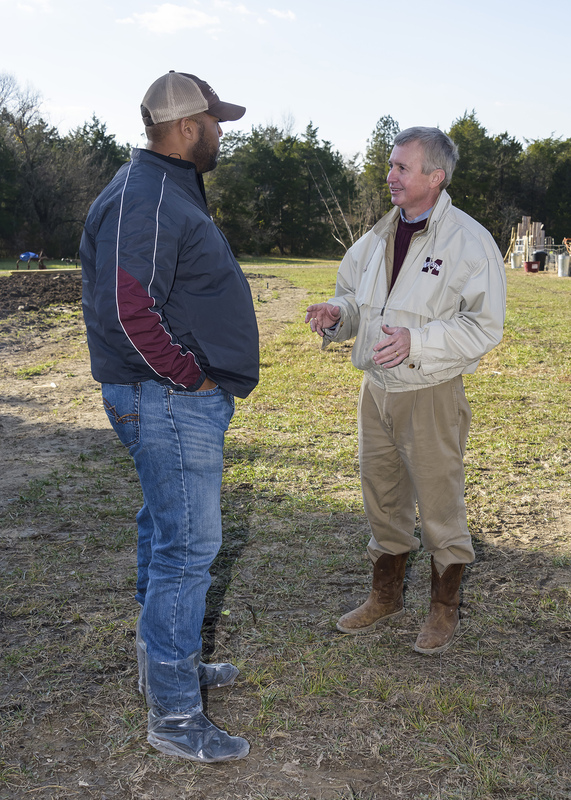 Mark Crenshaw, MSU Extension Service swine specialist, has spent time with Ross and Blaylock as they developed their operation. He emphasized the importance of producers knowing their market before getting started in the business. Crenshaw also recommended producers serve more than one specialty market. “If you are locked into just one market, and for some reason that market doesn’t need pigs when you have pigs ready to go, you don’t have a place to market those animals,” Crenshaw said.